The following interview is part of a series, called Open Source Leaders, where we profile project leaders in the open source IT community, to learn more about how they developed their software as well as the challenges and benefits that come with running an open source project. 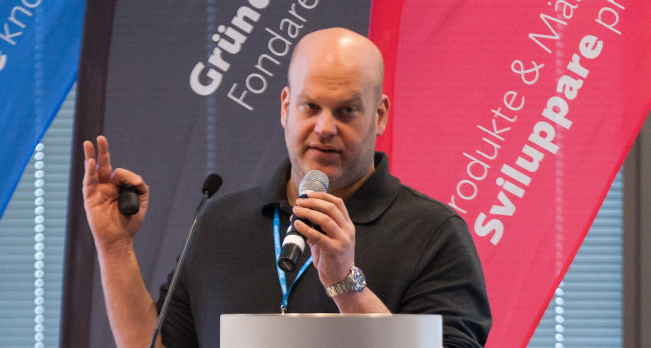 Frank Karlitschek founded ownCloud, and, later, Nextcloud, the only fully featured, open source competitor of Dropbox-like cloud file storage for enterprise users. Karlitschek is a longtime software developer and entrepreneur. A strong supporter of freedom, privacy and open web, Karlitschek has been in the open source world for more than 20 years. One of the biggest open source projects that he was involved with was KDE where he contributed for more than 15 years. He was also a board member and Vice President of KDE e.V. Karlitschek is German and like many Europeans has a very strong technical background. He studied computer science and worked as a software developer and system administrator in the beginning, but quickly moved into management. He started his career in consulting companies, mainly in software development of web applications. Later he moved into the management of engineering teams, business units and senior management. Karlitschek tried to create a business model around it, but his monetization from the App Store was limited to advertisements. Later he started other initiatives like userdatamanifesto.org and Open-PC before founding ownCloud and Nextcloud. There is an interesting story behind ownCloud inception. Since KDE was Europe-centric, the KDE community organized its first US-based event in 2010 to attract more North American developers and asked Karlitschek to deliver a keynote. In the search for some “revolutionary” topic, he ended up talking about ownCloud as a fully open source, user-controlled alternative to services like Dropbox. That was when Google Drive didn’t even exist. ownCloud already had clients for macOS, Linux and Windows whereas Google still hadn’t created a Google Drive client for Linux. Karlitschek said that with the advent of cloud-based file storage and sync services, he grew concerned about the ownership of the data and privacy of users. That’s when he started ownCloud, which was a fully open source project that users run on their own servers with complete control over their files. Karlitschek was surprised with the response that he got from the community. ownCloud grew so big that Karlitschek ended up co-founding a company around it. Karlitschek moved to the US to run the project as the chief technology officer. ownCloud continues to grow in popularity, especially in Europe. However, there was a fallout between Karlitschek and other members of the ownCloud team. While the details are murky, Karlitschek claims that they failed to maintain the balance between the needs of the company and the community. He ended up forking ownCloud and created a new project and company called Nextcloud. All core developers left ownCloud and joined Nextcloud. ownCloud shut down its US office and moved to Germany. Learning from the mistakes of ownCloud and to ensure Nextcloud will be protected from the same fate, he took some measures — he is creating a foundation around Nextcloud, which shares the name’s trademark. He also eliminated the CLAs so anyone could freely contribute to the project. Last but not least, he removed the distinction between the enterprise and community version. Now there was just one piece of software — Nextcloud — that was a commercial product as well as project, just like Ubuntu. Nextcloud is one of the most important, though often overlooked, open source products that organizations should consider when moving their files to the cloud. In doing so, they lose control and ownership of these files. Nextcloud and ownCloud give back that control while also enabling “customers” to become contributors and influence the features and direction of the project. Karlitschek not only managed to create a critical open source product, he also managed to create a successful company around it which is now creating job opportunities for open source developers. It’s also creating pluggable projects for companies like Collabora Productivity that offers the Productivity Online Suite, for which Nextcloud offers the storage capabilities. Nextcloud follows the traditional Red Hat business model where the product is available for free but enterprise customers can buy support subscriptions. “This company contributes to the development of the Nextcloud. The interest of the Nextcloud GmbH is that feature-rich, high-quality and scalable product. It’s also important that the employees of the Nextcloud company have knowledge in all areas of Nextcloud because they want to provide high-quality support to customers,” said Karlitschek. “It is one of the key challenges for open source. Nextcloud gets a ton of contributions from volunteers. But it is also important to have full-time people working on the more challenging parts of the architecture,” Karlitschek said. Feature image: Frank Karlitschek’s home page.